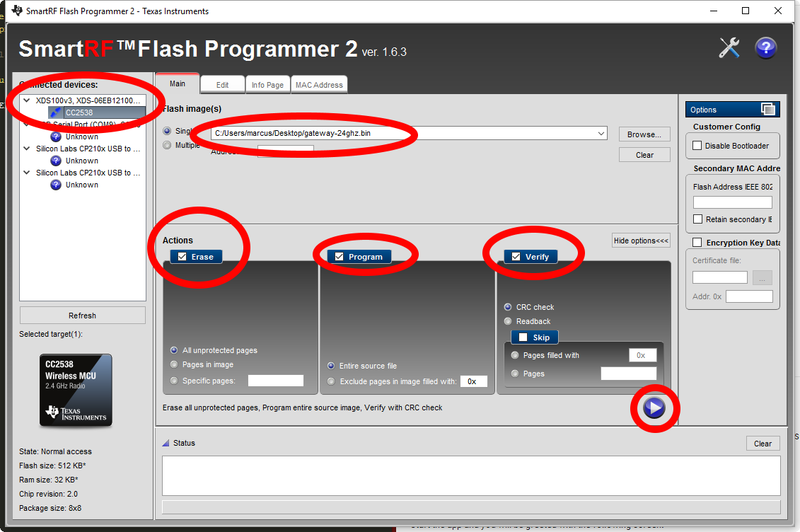 Download the software and install Flash programmer 2 on the computer. This will also install drivers for the Launchpad board. 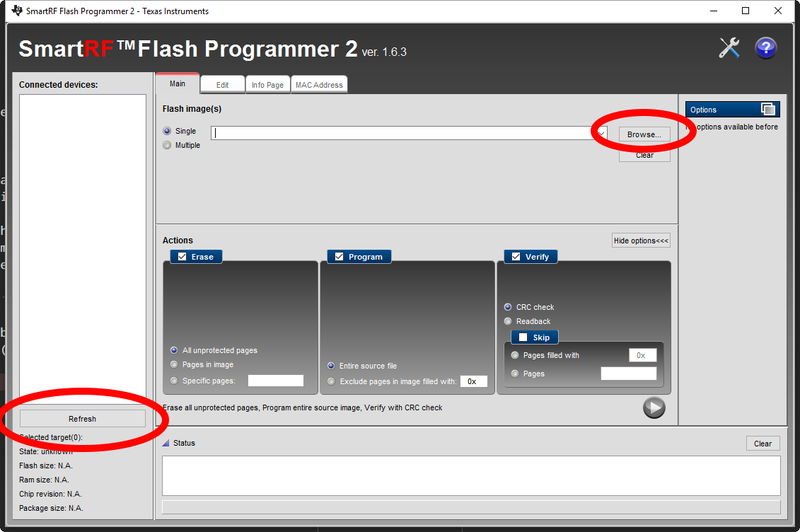 Connect the Launchpad by USB to the computer and start Flash programmer 2. 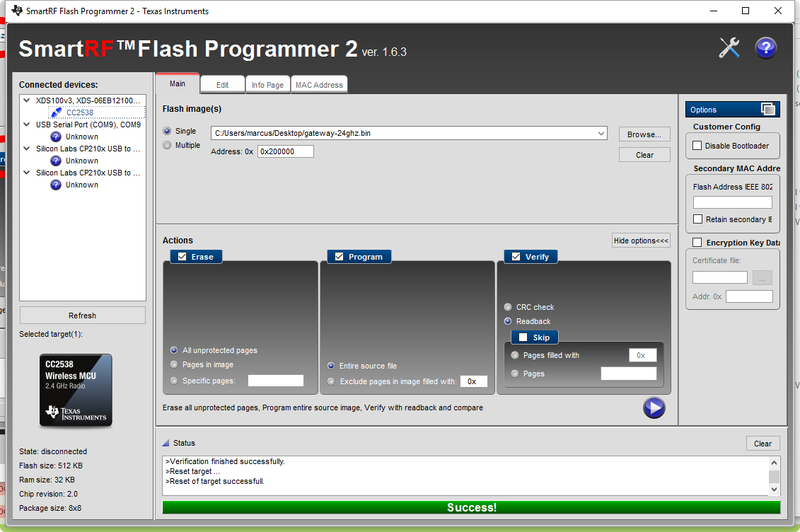 Flash programmer 2 will start in a blank state. 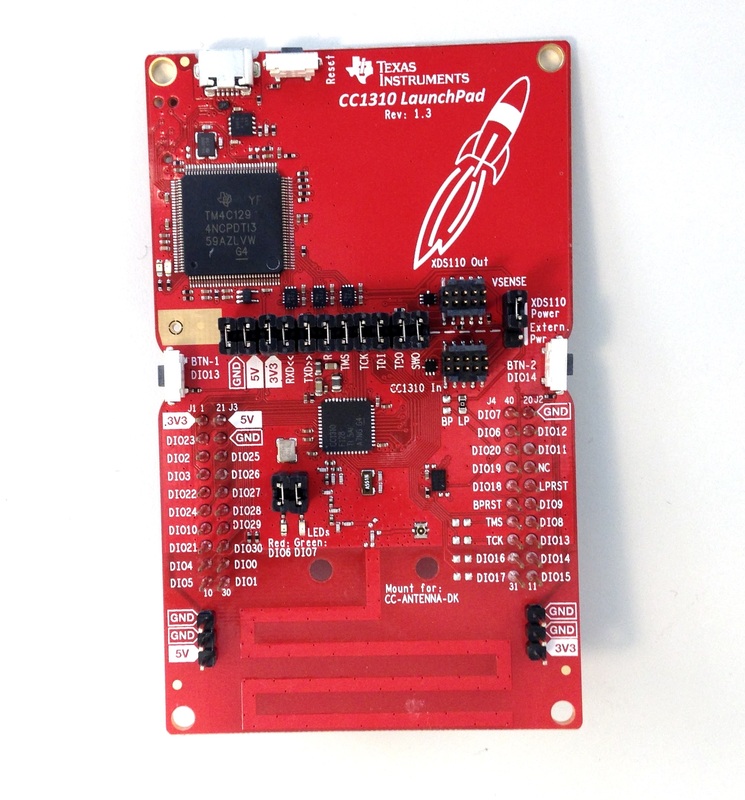 Press Refresh to have it look for the CC1310 Launchpad. It will show up in the list on the right, as in the following image. Click the CC1310 in the list to select the target. Press Browse... and locate the cc1310-915mhz.bin you previously downloaded. Ensure that the checkboxes are ticked as in the image, Erase (all unprotected pages), Program (entire source file), Verify (CRC check). Then, press flash button that looks like a "Play" button in a blue circle. The result will be displayed in the status box. If it fails, press the flash button again. It may sometimes take two-three tries to succeed. If the address field is not filled it, the address for the CC1310 is 0x00000. Congratulations! You've installed your CC1310 Launchpad!